Der Artikel Vaclav Talich Edition Vol.13 wurde in den Warenkorb gelegt. 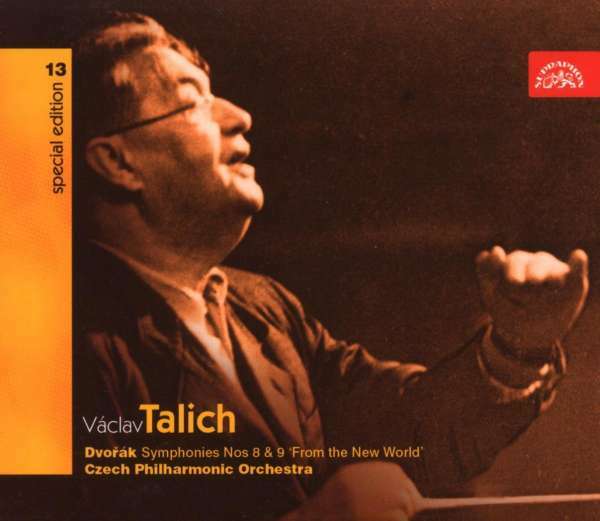 This late recording of Dvorak's two most famous symphonies presents Vaclav Talich as a conductor who constantly discovered new depths even in works he had already performed many times, a trait which demanded extreme flexibility from his orchestras. W. Furtwängler is said to have proclaimed that "all the masters of the baton around Talich were somewhat nervous about what he would come up with this time". The seventy year old Talich himself commented on this before his last recording of the "New World": How much youthful arrogance and pride is dissolved in the wise realization that there is no goal, but only a mere direction towards a goal; no joy in what is found, but only delight in searching; that life is no comfortable sitting in a soft armchair, but only an exhausting walk in rough terrain.